This week, EDM Canada had the pleasure of speaking with Petit Biscuit about his newest album “Presence” and about his experiences on tour. The 18 year-old, French DJ, who is most well known for his hit “Sunset Lover”, released his second album this November. The album contains songs that are “cinematic” and “eclectic”, featuring an enhanced version of his personal style of production and songwriting. Your newest album is titled "Presence", why did you call it Presence? One of the tracks in the album is called "Presence" too. For me it sounds very cinematic, but also quite supernatural, somewhat worrying. It is exactly what I wanted to represent in this album: something as beautiful as disturbing. That's why I choose that track name as title of the album, it seemed fitting to the overall atmosphere. This album is very eclectic, there are poetic tracks, soft and full of love, and there are darker tracks, something I hadn't really unveiled in my previous productions. On this album, you have had the chance to collaborate with other artists. How do you go about choosing which artist/vocalist to work with? The stories behind each artist I chose are very different, and it's what gives this unique touch to each and and every collaboration. For Lido, we met in Paris and hit it off instantly. For Møme, we bounded quickly when touring the same festival during the summer. However I knew what I wanted for each collaboration. This is not just a story where everyone comes and bring his touch on a track - it's rather about trying to come together and create something completely new. How do you feel about the reaction to the vocal clips that you use in your songs that are almost a make believe language of their own? It must be so interesting to hear people sing along! Do you or would you hide any secret messages in these songs or anything like that? For all the voice cuts that we often call ‘vocal chops’, there is no secret message but rather an universal language: melody. At the start of my career I was only interested in melodies and their harmonies, and it’s crazy to see how people can sing these wordless melodies during shows. Today, I try to produce around lyrics, hence my collaborations with singers and also the fact that I started to sing on some of my tracks. There are two on the album with my voice! The song "Follow me" is such a wonderful example of a musical journey. When you have songs without lyrics, how do you go about naming your songs? (By the feeling you get when you listen to them, or the feeling you felt while you created them?) Do you have a story that emerges in your imagination? Like why did you name that track "Follow me" for example? It’s true, it’s a story that builds alongside the production process in my head. I close my eyes and listen to the music on a loop to try to understand it not only in a pure producer standpoint, but also with a certain distance, imagining what it could make reference to. On ‘Follow Me’, it is precisely an idea of a journey, to take off towards an unknown destination. From the beginning to the end, we discover new elements, hence this idea of unknown. There is something very comforting in this track. And that's why I ask people to follow me. Do you feel more comfortable on the stage or in the studio? The one doesn’t go without the other in my opinion. I enjoy so much the stage and my progression as a live performer that I cannot live without it now. And those moments of loneliness, self-reflection, but extreme serenity when I'm composing are priceless. For anyone who hasn't seen you live yet, how would you describe what a Petit Biscuit show looks and feels like? Petit Biscuit live is a story of balance between a visual show and an instrumental parts, without losing the dynamism of electronic music. I have my guitar, percussion, but also electronic gear on stage. Concerning the tracks, it is a blend of some that people already know and others that are still unreleased. Moreover, some tracks from the album and EP are reworked in a live way, which leads to re-discovery for the audience. I can’t prefer one moment or another! I have always been passionate about travel, exploring and music. Today, I travel, discover and grow up, while playing music in front of thousand of people. I live the life I've been dreaming of. Who are your main influences right now?/Who do you find inspiring in the music scene right now (either within electronic music or other genres)? What I enjoy is listening to music from artists, not specific genres. Some artists are types of music by themselves, like Flume or Tame Impala - hybrid music between pop, rock and electronic. It gravitates between a lot of different styles and it’s both confusing and captivating. Do you have a message we could pass along to your fans in Canada? 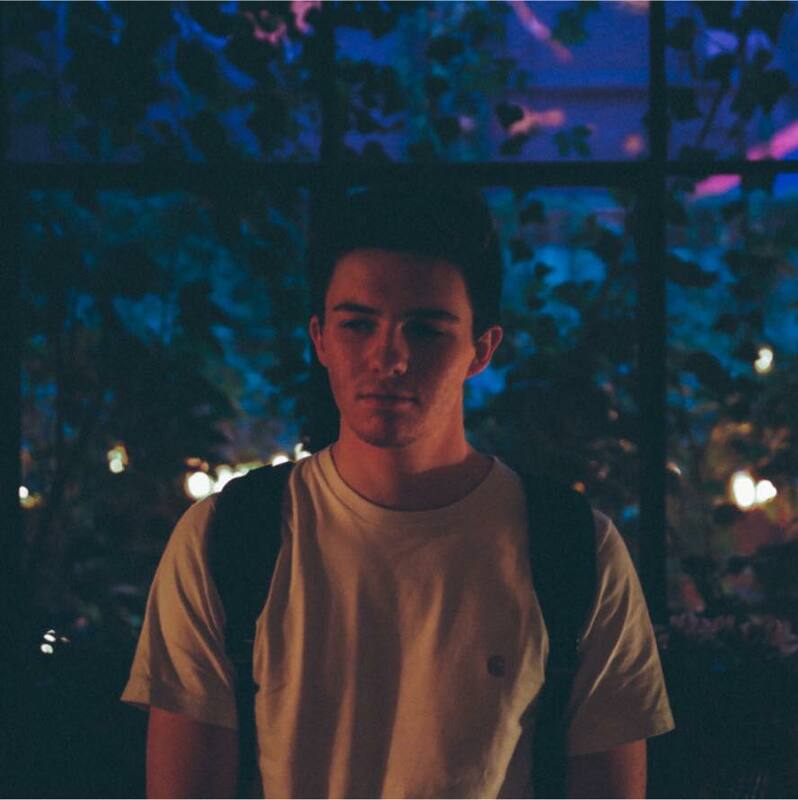 Later this month Petit Biscuit will be at the Danforth Music Hall on Wednesday, January 17th. It will be a big show, well worth checking out an up and coming artist on a weekday. For tickets, click here. Petit Biscuit will also be in Montreal to perform at Igloofest on Friday, January 19th - click here for tickets. Sinejan is Toronto's correspondent for EDM Canada. You can follow her on twitter: @Sinejantweets.